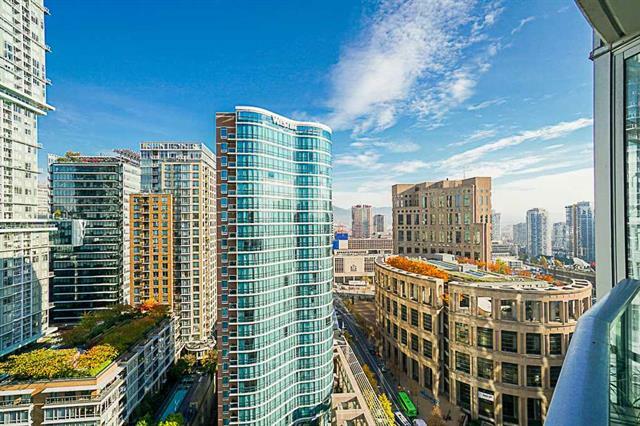 "Atelier on Robson by Magellen Developments is an architectural gem" in the heart of Downtown! It offers High Ceilings, Bright Interior. Open Layout, Built-in Refrigerator, High-end Appliances, Gas Stove and Quartz Counter-tops. Luxurious amenities including 24/7 concierge, rooftop garden, fully equipped gym & party room, yoga studio, steam rooms and lounge. Steps to Public Library, restaurants, grocery stores and shopping centres. Open House: Sat Oct 20 @ 3PM-5PM.